Defender Alex Silvagni has called an end to his 60-game AFL career. Alex Silvagni will miss the rest of the season after rupturing his Achilles tendon in the VFL. Defender Alex Silvagni will return from a knee injury via the Northern Blues today. 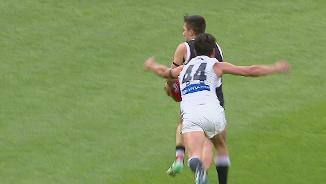 Few Carlton fans will forget Alex Silvagni’s senior debut in Dark Navy – the 6th Round match of 2017 on the MCG when the former Fremantle backman played a blinder on Sydney’s ‘Buddy’ Franklin. 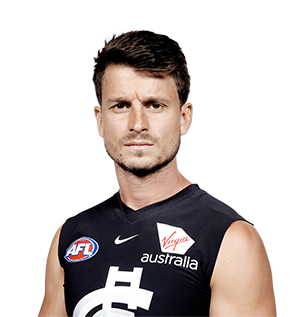 From day one, Silvagni’s appetite for the contest and selfless team-first approach earned the universal respect of his peers, and although injury cruelled the second half of his maiden season with Carlton, the 30 year-old is truly primed for a big 2018 in dark navy. Draft history: 2010 Rookie Draft selection (Fremantle) No.24; 2010 NAB AFL Draft rookie elevation (Fremantle) selection No.109; 2017 Rookie Draft selection (Carlton) No.23.